NicoGen Pharma Solutions, LLC (NicoGen). PLD recognizes the vast opportunity related to the development and introduction of innovative non-combustible nicotine products and smoking cessation aids. As PLD’s efforts have intensified, the company has decided to focus its efforts via the creation of NicoGen and has installed Darren Quinn as NicoGen’s president. to strategically enter the market. Joining the PLD team as Commercial General Manager, Health & Nutrition is Emily Brooks, PhD. Emily has been an industry leader for 17 years. She has studied and worked in nearly all sectors of the global nutrition industry and will bring an expertise in nutritional product development, ingredient benefits, marketing, and global value chains. Prior to joining PLD, Emily was the Sr. Director of Worldwide Product Marketing at Herbalife. “Entering the VMS market is consistent with our corporate vision. Bringing someone with Emily’s experience and expertise speaks to our level of commitment and enthusiasm to this growth opportunity,” commented Evan Singer, President of PL Developments. In addition to its new efforts in the VMS marketspace, PL Developments will continue to offer its retail clients an industry leading portfolio of Over-the-Counter pharmaceutical products for sale under the retailer’s store brand. PL DEVELOPMENTS ACQUIRES HEALTH – CHEM DIAGNOSTICS LLC ASSETS. PL Developments (PLD) a leading manufacturer, packager and distributor of consumer healthcare products has acquired 100% of the assets of Health – Chem Diagnostics, LLC. (HCD) of Pompano Beach, Florida. HCD, founded in 1973 by Jack Aronowitz, HCD is a developer and manufacturer of over 150 FDA 510K approved point of care diagnostic products. With several issued and pending U.S. and worldwide patents, the HCD product lineup represents the most technologically advanced and reliable diagnostics available. The addition of the HCD capabilities will augment PLD’s already robust product offering of solid and liquid dose consumer healthcare products. The HCD product portfolio includes analog and digital offerings in the following categories; Family Planning (pregnancy and ovulation, fertility), Cholesterol Monitoring, Glucose Monitoring, Drug and Alcohol Screening and Infectious Disease Detection, as well as other categories of diagnostic testing kits. PLD will continue to manufacturer the HCD products in the Pompano Beach, FL facility and will distribute these products along with its existing selection of over 450 products. The HCD product portfolio will be available nationally at U.S. retailers as store brand equivalents to leading national brands. “The digital capabilities of HCD are second to none. The HCD digital pregnancy and ovulation tests are twice as reliable and require at least one third the amount of urine compared with other products on the market” stated Dana Toops, PLD’s Chief Scientific Officer. ISO-BLU® Topical Analgesic Liquid Penetrating Rub, extremely popular with consumers for its no-mess, fast-drying application along with a pleasing scent, has been rebranded with a new package, label and logo that’s standing out amongst its competitors. One of the only liquid, dab-on products in the category, ISO-BLU temporarily relieves minor aches and soreness associated with arthritis and joint pain, sore muscles and strains. Its new bottle, a generous 16 oz, has a fresh new look for its proprietary no-mess liquid formula and gives consumers over 75% more for their money than other products in the category. ISO-BLU is manufactured in the US by PL Developments (PLD) in its Clinton, South Carolina facility. The pain reliever was initially developed in 1996 and during its 20-year presence on the market, garnered an impressive following with significant distribution and consumer sales, in spite of its uninspired packaging. ISO-BLU’s makeover comes at a time when the pain management category is soaring. Topical Analgesics represents a $612 million category as reported by IRI with 7.4% annual growth. * Beyond its new look and value proposition, ISO-BLU emerges in a crowded category notorious for medicinal smells and gooey residue. The new ISO-BLU is now available nationwide at select retailers. For more information or to find an ISO-BLU retailer visit www.iso-blu.com. *retail $-growth over 12 mo. ending July 2015. PL Developments® Receives its First ANDA Approval to Manufacture Ibuprofen 200 mg Tablets and Caplets. [one_half]PL Developments announced today that they have received FDA approval to manufacture Ibuprofen 200mg brown and orange tablets and caplets, which are comparable to national brands Motrin® and Advil®, to help relieve pain and reduce fever. This is the first ANDA (Abbreviated New Drug Application) approval for PL Developments. PLD will manufacture the product in the United States in its state-of-the-art solid dose manufacturing facility in Miami, Florida. PL Developments currently has several additional applications under review by the FDA. “The Ibuprofen 200mg approval is a key step for the company because it paves the way for future products to be approved, filed or transferred into our Miami facility,” Mr. Singer commented. PL Developments® Offers Groundbreaking Estrog-100® Women’s Health Product For Private Label Offerings. WESTBURY, N.Y., (December 17, 2014) – PL Developments® (PLD) today announced that it has added menopause relief supplement, EstroG-100®, to its private label portfolio. EstroG-100 is a powerful and safe combination of three botanical root extracts that have been clinically proven to relieve eight out of 10 menopause symptoms with results starting in as few as 7-10 days, or six times faster than other nutritional ingredients such as Black Cohosh, Genistein and Hops extract. PLD has exclusive private label rights to the ingredient with some minor exceptions. EstroG-100 is formulated with a combination of three herbs used successfully in Korean and Chinese medicine for over 400 years: Phlomis Umbrosa, Cynanachum Wilfordii and Angelica Gigas Nakai (Korean Angelica). The supplement’s efficacy was proven by three double-blind, placebo-controlled human clinical trials conducted by Helios CORP. Participants experienced significant and measurable improvement of menopause symptoms including hot flashes, night sweats, insomnia, vaginal dryness, fatigue, joint discomfort, mood swings, nervousness, memory loss and inelastic skin. In addition, EstroG-100 is also one of the safest menopause relief ingredients on the market. It is non-estrogenic, has not been linked to cancers and does not cause vaginal bleeding or liver toxicity. There have been no reported side effects or adverse events globally since the ingredient was developed. EstroG-100 holds an “NDI” (New Dietary Ingredient) status with the FDA, the highest classification in the dietary supplement industry, a Natural Product Number (NPN) with Health Canada, and EU Approval for Novel Food Status. [/one_half] Other over-the-counter supplements claim to help menopausal symptoms. However, many have not been sufficiently tested and studied to determine their true effectiveness, are not FDA reviewed, or are associated with harmful side effects. Menopause is a normal part of life that occurs in women 40-58 years of age. According to the North American Menopause Society as the large baby-boom generation reaches midlife and beyond, an unprecedented number of women are now postmenopausal. An estimated 3,700 US women reach menopause every day – more than 2 million every year with 45 million women currently in menopause in the US alone. EstroG-100 is available now for private label products. PL Developments offers retailers extensive manufacturing, packaging, supply chain management, and promotional support. EstroG-100 was developed by Helios CORP, a company that brings nutritional ingredient solutions to the US markets and each ingredient has been validated by human clinical studies that support the claims and safety of the ingredient. PL Developments® Signs Exclusive Supply and Distribution Agreement for New Nicotine Chewing Gum with British Company Revolymer. Revolymer’s nicotine chewing gum products differ from those currently in the market. They offer a number of consumer benefits in comparison to currently marketed nicotine gum including a more confectionery-like chew and faster release of nicotine. The agreement is subject to regulatory approval of Revolymer’s products and the preparation of an application for marketing approval is currently under discussion with the FDA. “We are very happy to have signed this agreement with Revolymer covering its nicotine chewing gums and are looking forward to launching the products in the US, once approved. With Revolymer’s products we believe we will have a superior quality nicotine gum to offer to our customers and expect to achieve significant market penetration. This exciting partnership furthers PL Developments’ commitment to bring a comprehensive portfolio of products and capabilities to market” said John Francis, Chief Commercial Officer of PLD. “We are excited to have closed this significant deal covering the substantial US market for nicotine gum. The team at PLD is very experienced at packaging and distributing OTC pharmaceutical products and consumer healthcare goods nationally across America to major grocery,[/one_half] mass merchandiser, and pharmacy chains, and we look forward to a mutually fruitful relationship going forward. We are now focused on preparing a regulatory dossier with view to filing for and gaining marketing approval for our nicotine gum products in the US.” said Robin Cridland, Acting CEO of Revolymer. Headquartered in Westbury, NY, PL Developments is a leading manufacturer, packager, and distributor of over-the-counter pharmaceutical products and consumer healthcare goods. It has more than 1,000 employees throughout the US and operates more than 1 million sq. ft. of state-of-the art pharmaceutical facilities. All production and material handling is performed under strict FDA guidelines and current Good Manufacturing Practices, ensuring every product meets or exceeds industry standards. With three decades of experience, PLD has grown to serve almost every retailer in the US and many around the globe. Revolymer is a technology company that designs, develops and formulates novel polymers to improve the performance of existing consumer products within the FMCG and other industrial markets. Revolymer’s strategy is to generate significant and growing revenue streams by licensing its unique and proprietary technologies to manufacturers and marketers within these global high value markets. Current applications for the Group’s technologies are in the household products, personal care and coatings & adhesives markets (together “Consumer Specialties”) and the medicated chewing gum and confectionery chewing gum (together “Gum”) markets. PL Developments® Partners With Leading Manufacturers to Expand Portfolio. WESTBURY, N.Y., (April 24, 2014) – PL Developments today announced three partnerships with leading manufacturers that will bring new private label offerings to market. As a result, the companies’ portfolio now includes products across multiple categories. PL Developments’ new line of health and beauty care products features a robust selection of generic creams, lotions, and nail polish removers comparable to their brand name counterparts. These new products come as a result of a partnership with a leading manufacturer of health and beauty care products in the Mexican market. In addition, PL Developments is proud to announce the launch of a comprehensive line of family planning diagnostic products with a leading manufacturer in the US comparing to the leading national brands. Both are now commercially available. PL Developments is also announcing that it has expanded its relationship with Banner Life Sciences to include an exclusive venture offering a store brand version of Aleve® Liquid Gels (Naproxen Sodium 220mg softgels) to US retailers. Shipments will commence in the 4th quarter of 2014. Founded in 1988 and headquartered in Westbury, N.Y., PL Developments (www.PLDevelopments.com), is a trusted industry partner in the over-the-counter and consumer healthcare industries, serving national retailers and many global consumer product companies. Its mission is to deliver products with the highest level of quality and service at an affordable cost. The company’s commitment to quality ensures that every product it produces meets or exceeds industry standards. Banner Life Sciences’ mission is to advance human health with innovation and creativity generating value for society and investors. Acquired by Patheon in December 2012, Banner Life Sciences is DPx’s proprietary products business. For more information visit http://www.bannerls.com. DPx is the privately held parent company of the Patheon, Banner Life Sciences, and DSM Fine Chemicals businesses. The company is a leading provider of CDMO services, pharmaceutical products and products for other industries. Founded in 2014 as a result of a deal between JLL Partners and Royal DSM, DPx has three core business units, comprised of Patheon Pharma Services, DSM Fine Chemicals and Banner Life Sciences. With global headquarters in Durham, N.C., DPx has a footprint of 24 locations across North America, Europe, Latin America and Australia with more than 8,000 employees. DPx offers customers unsurpassed quality, integrated offerings and value through these three core business units. For more information visit www.patheon.com/DPx. PL Developments Heats Up Private Label Market With Aaron Deal. impact our long term growth strategy,” Singer said. increases during a 12-month period ending in August 2013.
brands are winning market share,” she said in an interview. price spectrum. “Companies are winning share by innovation,” Viamari said. Retail Conference in New York. 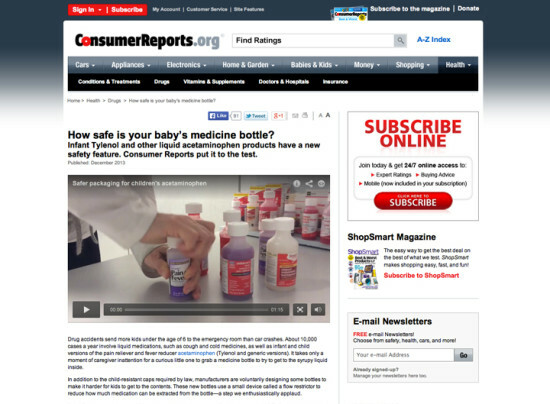 How safe is your baby’s medicine bottle? 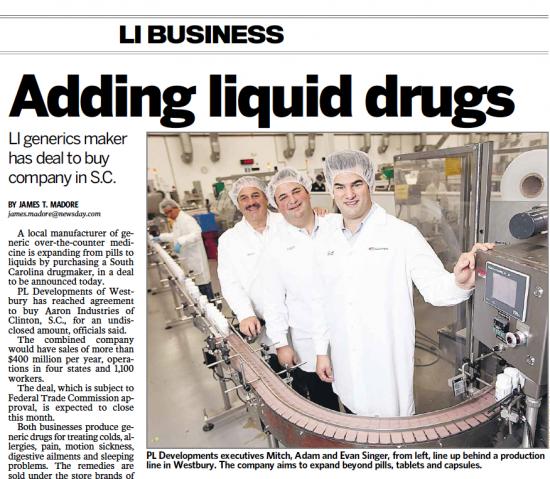 WESTBURY, N.Y., November 18, 2013 – PL Developments, Inc., a leader in manufacturing, packaging and distributing solid dose over-the-counter (OTC), private label pharmaceutical and nutritional supplement products, has signed a definitive agreement to acquire Aaron Industries, one of the foremost manufacturers and distributors of liquid dose private label OTC pharmaceutical and consumer health care products for the retail and packaged goods industry. The announcement is being made at the Private Label Manufacturers Association (PLMA) 2013 Private Label Trade Show being held at Chicago’s Rosemont Convention Center (booth #2511). Terms of the acquisition are not being released as both companies are privately-held. The agreement is subject to government approval under the Hart-Scott-Rodino Act. It is anticipated the deal will close in late November. The combination of the two companies will create a new force among private label providers to mass merchandisers, drug stores, club stores, dollar stores, grocery chains, convenience stores, drug wholesalers and the entire consumer packaged goods industries. As a result of the acquisition, PL Developments will be an industry leader supplying products to retailers worth more than $1 billion of sales to consumers. With more than 1,000 employees and a manufacturing and distribution footprint across the U.S., PL Developments will feature an impressive and comprehensive array of high quality solid and liquid dose OTC medicines and consumer health care products featuring 300 unique products and 3,000 SKUs. Aaron Industries, headquartered in Clinton, S.C. and founded in 1981, is a high-quality, low-cost manufacturer of private label and branded liquid pharmaceutical products which include the national brand equivalents of cough, cold, allergy, pain medicines, digestive health items, pediatric electrolytes and first aid items. It has manufacturing facilities in Clinton and in Los Angeles. Aaron Industries’ operations will be completely integrated into PL Developments with combined company headquarters in Westbury, N.Y. Its manufacturing and distribution facilities will remain in Clinton and Los Angeles. PL Developments and Aaron Industries serve most of the nation’s largest retailers including WalMart, Sam’s Club, Costco, Walgreen’s, CVS, Rite Aid, Kroger, Topco, Target, Dollar General and Family Dollar. “This is a rare combination of two industry leaders with complementary product lines that fit perfectly together,” said Evan Singer, Executive Vice President of Corporate Development, PL Developments. “Both companies have experienced strong growth in recent years and have become important suppliers to our retail and consumer packaged goods customers. Now, with an expanded array of products and capabilities, we see PL Developments establishing more meaningful relationships with our clients by offering a broader product selection and by utilizing our best in class operations, supply chain and quality systems to provide our clients with a scalable and efficient solution for their store brands. “PL Developments is well positioned to be part of the solution for reigning in escalating national healthcare costs. We will have an even stronger platform to offer consumers compliant, equivalent and safe OTC alternatives to higher-cost branded and prescription products addressing similar medical needs,” said Mr. Singer. The over-the-counter market is expected to expand as more prescription drugs get moved to OTC status and retailers look for store brands that will compete. Two smaller players in the industry have decided to join their manufacturing and distribution forces to cash in on retailers’ hunger for private-label products and position the expanded company as an alternative to OTC colossus Perrigo ($PRGO). New York-based solid-dose player PL Developments said it will buy Aaron Industries, a liquid product specialist based in South Carolina. Both companies are private, and so terms of the deal, which may close yet this month, were not disclosed. 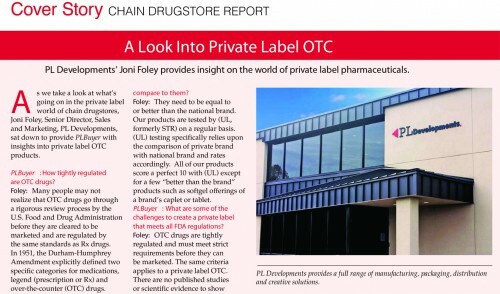 “PL Developments’ preeminent position in the solid dose market segment, combined with Aaron Industries’ strength in liquids and first aid products, allows us to provide greater product depth and choices for the growing needs of our retail partners and the consumer packaged goods industry,” said PL Developments CEO Mitch Singer. 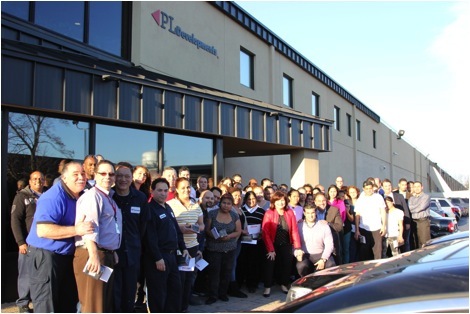 PL has manufacturing and distribution facilities in Miami, FL, and Westbury, NY, where it is headquartered. Aaron has plants in Clinton, SC, where it is based, and in Los Angeles. PL will consolidate all of the administrative functions into its Westbury operations but keep all of the manufacturing. PL has about 660 employees and Aaron about 450. When the deal closes, there will be some layoffs because of overlaps in administration, but it will affect less than 5% of the workforce, Anderson said. The combined operation will still have more than 1,000 employees. It will also have sales of more than $400 million. That makes the beefed-up player still small compared to Perrigo, the world’s largest manufacturer of store-brand OTC products covering everything from cough and cold meds to diabetes products. It had more than $3.5 billion in sales in its last fiscal year, which closed July 31, and it is getting bigger. It is in the process of buying Ireland-based Elan ($ELN) in an $8.6 billion cash-and-stock deal that gets it Elan’s low Irish tax rate and assets for expansion in Europe, but no products. Elan has lots of cash and a large royalty stream from having sold off the remaining rights to its multiple sclerosis drug Tysabri to partner Biogen Idec ($BIIB). Perrigo has also completed some smaller deals to expand into dermatology products and pet care. WESTBURY, N.Y. — PL Developments Inc., a manufacturer, packager and distributor of solid dose over-the-counter (OTC), private-label pharmaceutical and nutritional supplement products, has signed a definitive agreement to acquire Aaron Industries, a manufacturer and distributor of liquid-dose private-label OTC pharmaceutical and consumer health care products for the retail and packaged goods industry. The privately held companies did not release the terms of the acquisition. The agreement is subject to government approval under the Hart-Scott-Rodino Act. They anticipate that the deal will close in late November. The combination of the two companies will create a new force among private-label providers to mass merchandisers, drug stores, club stores, dollar stores, grocery chains, convenience stores, drug wholesalers and the entire consumer packaged goods (CPG) industries, they said. As a result of the acquisition, PL Developments will supply products to retailers worth more than $1 billion of sales to consumers. With more than 1,000 employees and a manufacturing and distribution footprint across the United States, PL Developments will feature a comprehensive array of solid- and liquid-dose OTC medicines and consumer health care products featuring 300 products and 3,000 SKUs. Aaron Industries, Clinton, S.C., is a low-cost manufacturer of private-label and branded liquid pharmaceutical products that include the national brand equivalents of cough, cold, allergy, pain medicines, digestive health items, pediatric electrolytes and first-aid items. “This is a rare combination of two industry leaders with complementary product lines that fit perfectly together,” said Evan Singer, executive vice president of corporate development for PL Developments. “Both companies have experienced strong growth in recent years and have become important suppliers to our retail and consumer packaged goods customers. Now, with an expanded array of products and capabilities, we see PL Developments establishing more meaningful relationships with our clients by offering a broader product selection and by utilizing our best in class operations, supply chain and quality systems to provide our clients with a scalable and efficient solution for their store brands. PL Developments and Aaron Industries serve retailers including Walmart, Sam’s Club, Costco, Walgreen’s, CVS, Rite Aid, Kroger, Topco, Target, Dollar General and Family Dollar. PL Developments Inc., a Westbury, N.Y.-based manufacturer packager and distributor of solid-dose over-the-counter (OTC) private label pharmaceutical and nutritional supplement products, said it signed a definitive agreement to acquire Clinton, S.C.-based Aaron Industries, one of the foremost manufacturers and distributors of liquid-dose private label OTC pharmaceutical and consumer healthcare products for retail and consumer packaged goods (CPG) companies. Terms of the acquisition, which is being announced at the Private Label Manufacturers Association’s Private Label Trade Show in Rosemont, Ill., Nov. 17-19, are not being released, as both companies are privately held. The agreement is subject to government approval under the Hart-Scott-Rodino Act. It is anticipated to close in late November. According to PL Developments, the combination of the two companies will create a new force among private label providers to mass merchandisers, drugstores, club stores, dollar stores, convenience stores, grocery chains, drug wholesalers and the entire CPG industry. As a result of the acquisition, PL Developments will be an industry leader supplying products to retailers worth more than $1 billion of sales to consumers. With more than 1,000 employees and a manufacturing and distribution footprint across the United States, PL Developments will feature an impressive and comprehensive array of high-quality solid- and liquid-dose OTC medicines and consumer healthcare products, featuring 300 unique products and 3,000 SKUs. Aaron Industries’ operations will be completely integrated into PL Developments, with combined company headquarters in Westbury, N.Y. Its manufacturing and distribution facilities will remain in Clinton and Los Angeles, PL Developments said. Westbury, New York based over-the-counter and supplement manufacturer, PL Developments, Inc., has signed a definitive agreement to acquire Aaron Industries, a manufacturer and distributor of liquid dose private brand OTC pharmaceutical and consumer health care products. The announcement is being made at the Private Label Manufacturers Association (PLMA) 2013 Private Label Trade Show being held at Chicago’s Rosemont Convention Center. Terms of the acquisition are not being released as both companies are privately-held. The agreement is subject to government approval under the Hart-Scott-Rodino Act. It is anticipated the deal will close in late November. As a result of the acquisition, PL Developments will supply products to retailers worth more than $1 billion of sales to consumers. With more than 1,000 employees and a manufacturing and distribution footprint across the U.S., PL Developments will feature an array of high quality solid and liquid dose OTC medicines and consumer health care products including 300 unique products and 3,000 SKUs. “We are very pleased to bring together two well-run organizations with strong cultures that have focused on manufacturing excellence, quality products and high-level customer service,” said Mitch Singer, President and CEO, PL Developments. “PL Development’s preeminent position in the solid-dose market segment, combined with Aaron Industries’ strength in liquids and first-aid products, allows us to provide greater product depth and choices for the growing needs of our retail partners and the consumer packaged goods industry,” stated Mitch Singer, PL Developments president and CEO. “This is a rare combination of two industry leaders with complementary product lines that fit perfectly together,” added Evan Singer, EVP corporate development for PL Developments. “Both companies have experienced strong growth in recent years and have become important suppliers to our retail and consumer packaged goods customers,” he said. “Now, with an expanded array of products and capabilities, we see PL Developments establishing more meaningful relationships with our clients by offering a broader product selection and by utilizing our best-in-class operations, supply-chain and quality systems to provide our clients with a scalable and efficient solution for their store brands. The combination of the two companies will create a new force among private-label providers to mass merchandisers, drug stores, club stores, dollar stores, grocery chains, convenience stores, drug wholesalers and the entire consumer packaged goods industries. As a result of the acquisition, PL Developments will supply products to retailers worth more than $1 billion of sales to consumers encompassing more than 3,000 SKUs of solid- and liquid-dose OTC medicines and consumer healthcare products. Aaron Industries’ operations will be completely integrated into PL Developments, with combined company headquarters in Westbury, N.Y. Its manufacturing and distribution facilities will remain in Clinton, S.C., and Los Angeles. PL Developments and Aaron Industries serve most of the nation’s largest retailers, including WalMart, Sam’s Club, Costco, Walgreens, CVS/Caremark, Rite Aid, Kroger, Topco, Target, Dollar General and Family Dollar. Aaron Industries of Clinton has agreed to a buyout by Westbury, N.Y.-based PL Developments Inc. Both companies are privately held, and details of the pending transaction were not announced. Aaron Industries majority owner Stephens Capital Partners partially financed the transaction, according to a PL Developments statement. PL Developments manufactures, packages and distributes solid-dose over-the-counter pharmaceutical and nutritional supplement products. Aaron Industries manufactures and distributes liquid-dose, over-the-counter health care products. Aaron Industries’ operations will be completely integrated into PL Developments, with the combined company headquarters in Westbury, N.Y. Aaron’s manufacturing and distribution facilities will remain in Clinton, where it has about 140 employees, and in Los Angeles, where there are about 220 employees. The acquisition, announced in Chicago at the Private Label Manufacturers Association trade show, is subject to government approval. PL Developments will have more than 1,000 employees and supply products that will account for more than $1 billion in retail sales. Westbury, NY (October 1, 2013) –PL Developments is proud to congratulate Mr. Tom Crowe, Chief Information Officer, for winning the Oracle Leadership Award for Supply Chain Management in North America. It is through his leadership and vision that PLD, partnering with KPIT, was able to successfully deploy ORACLE products with the goal of simplifying IT services. PL Developments has experienced rapid growth in recent years. Working with KPIT, a global IT consulting and product engineering partner, PLD was able to form a growth strategy that would include the implementation of sophisticated and innovative ORACLE products. “From the beginning of our Oracle journey in 2009, PLD has been focused on leveraging sophisticated software to manage the growth of our business. Our initial phase was to put in place a scalable foundation where we could expand upon the system to meet the changing needs of the business. Our latest successful implementation takes our Supply Chain to the next level, giving us “best in class” functionality and control. We have already begun to see the benefits with improved service levels and increased inventory turns,” said Crowe. 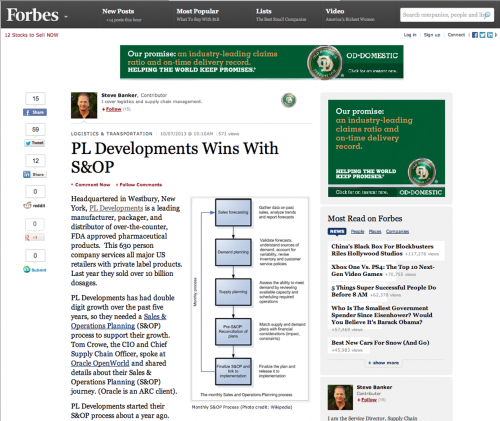 PL Developments has seen significant improvements and value from the implementation of ORACLE solutions. “In partnership with KPIT, we deployed a comprehensive value chain transformation incorporating solutions for both process and discrete manufacturing. By leveraging KPIT’s extensive experience and its WMS All-in-One solution, PLD increased inventory accuracy, recovered warehouse space, reduced travel time and completed the installation and troubleshooting of RF data collection and labeling equipments,” stated Crowe. The 2013 Oracle Leadership Award winners were selected by a panel of Oracle executives and industry experts who looked for uniqueness of the business case, the degree of innovation in the solutions and change management methodologies employed, and the business benefits realized to their respective lines of business or entire organization. “PL Developments’ leadership is committed to excellence and continuous improvements. When we saw the Oracle Leadership award’s call for nominations for Supply Chain Management, we immediately thought of PLD and Tom Crowe. Tom was the perfect candidate due to his technology vision and exceptional leadership that enabled transformational change within PL Developments. It has been an honor and privilege for KPIT to work closely with Tom and the PLD team, and to be part of building the IT engine for the next phase of the company’s growth,” said Ali Safadi EVP Oracle Practice, North America KPIT. Westbury, NY (August 15, 2013) — PL Developments (PLD), a company with nearly 25 years of experience in the pharmaceutical industry, will exhibit at the Contract Pharma 2013 Contracting & Outsourcing Conference (Table #19, September 19-20, New Brunswick, NJ) to showcase its Contract Services offerings. PLD is highlighting its packaging services this year, with a focus on its expanded blister packaging capabilities. PLD offers a full range of contract packaging solutions including Bottling, Blistering, Cartoning, Pouching, Clamshells, Twinpacks, Vial packs, and many other types of creative packaging options. In addition to Larson, PLD team members at the show include Dana Toops, SVP Quality and R&D; Aaron Dely, Director of R&D; and Jennifer Singleterry, Supervisor, Contract Services. PLD is exhibiting at Table #19. PLD’s packaging operations are located in Westbury, N.Y. and comprise more than 200,000 square foot of space. The entire facility is temperature controlled and includes segregated, positive pressure, HEPA-filtered packaging suites; Vision systems for in-line identification and inspection applications; and Optical Character Recognition to ensure compliance with date and lot tracking. PL Developments facilities are cGMP compliant and have been certified by various 3rd party agencies, including our customers. PLD Miami (PLD) and IntraTab Labs (ILI) have entered into an exclusive licensing agreement whereby PLD will manufacture and commercialize products utilizing ILI’s novel and patented IntraTab™ technology for the North American Market. The revolutionary IntraTab™ platform addresses two significant unmet medical needs: rapid onset of drug action and increased bioavailability. IntraTab™ products are small, dissolvable sublingual tablets which are preferred by many consumer groups. “We could not be more pleased to enter into this significant partnership with a company that has the financial strength, market presence and focus to commercialize these products as does PLD,” said, John McCarty, President of ILI. Melatonin and B-12 Products will be available to the market in the 3rd Quarter of 2013 with Resveratrol becoming available in the 1st Quarter of 2014. The month of December is traditionally when PL Developments recognizes its dedicated employees for their years of service with the company. This year’s notable anniversaries were celebrated at a company luncheon. In 2012 more than ten employees reached the five year milestone. The month of December is traditionally when PL Developments recognizes its dedicated employees for their years of service with the company. 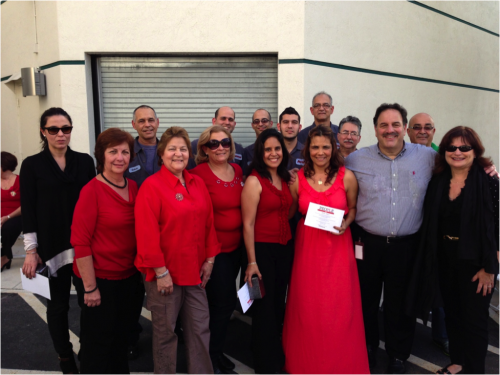 Each year the notable anniversaries of five, ten, and fifteen years are celebrated at a companywide awards ceremony. 2012 was shown to be a significant year with more than sixty employees reaching one of these milestones. Westbury, NY – September 24, 2012 – PL Developments (PLD), a company with nearly 25 years of experience in the pharmaceutical industry, will exhibit at the AAPS conference (October 14-18, Chicago) to showcase its Contract Services offerings. Please visit Booth #2446 to learn more about the company’s formulation development, manufacturing and packaging support. Long known for its Private Label business, PL Developments moved into contract manufacturing more than four years ago. PLD currently offers fast, flexible, and high quality contract manufacturing and packaging services for the Rx, OTC and nutritional markets. Until last year, the contract manufacturing business operated as a PLD subsidiary under the name of Avéma Pharma Solutions. In 2011, as part of its commitment to growing its Contract Services business, the company brought Avéma Pharma Solutions under the PLD brand. PLD’s 85,000 square foot manufacturing facility in Miami, FL, was designed to comply with the most stringent FDA and cGMP requirements. The staff brings more than 35 years of Rx formulation development experience, and the facility features a comprehensive analytical laboratory and a diverse mix of manufacturing equipment. PLD can manufacture a full selection of solid oral dosage forms. PLD’s packaging operations are located in Westbury, NY. The current 200,000 square foot packaging facility has state-of-the-art climate control and segregated positive pressure filling suites, offering run size flexibility. PLD recently purchased an additional 105,000 square foot facility for business expansion. Contract packaging services include bottles, blisters, cartoning, promotional and display fulfillment, and logo/label/packaging design. Over the years PL Developments has implemented several programs in order to aid those in need and support the community. As PL Developments grows as a leader within the pharmaceutical industry, so does its sense of community service and responsibility. Staying true to the values PL Developments was founded on, PLD recently started a Pallet Donation Program. Partnering with Medical Teams International, this program allows quality, over-the-counter pharmaceuticals to be donated and distributed throughout the United States. With assistance from MTI’s Commodity Support Procurement Officer, Teresa Prange, shipments of 40+ pallets of supplies are delivered every two months or so. This new found relationship gives PLD the ability to impact the lives of those both near and far. Medical Teams International is a Christian global health organization that provides aid to people affected by disaster, conflict, and poverty. Their work is supported by volunteers and leveraged by in-country partners. It was founded in 1979. Since then they have shipped more than $1.5 billion dollars in medical supplies worldwide. Visit them at www.medicalteams.org. PL Developments is proud to have been the location site for a scene in the recently released motion picture The Bourne Legacy. The filming took place in November 2011 in the production area at PL Developments located in Westbury, New York. Not only was it significant to have been selected over all other companies within the pharmaceutical industry, but it also offered PLD the opportunity to showcase its state-of-the-art packaging equipment, specifically a tablet filler with “vision” technology. Staying high-tech with its machinery is an important ideology for PL Developments. 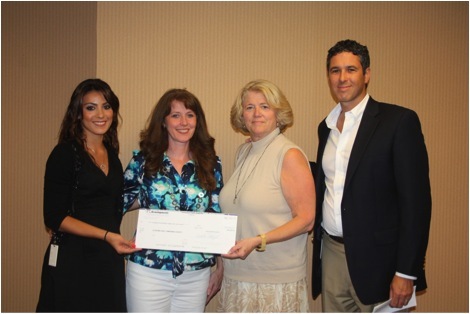 Earlier this month, PL Developments had the honor of presenting The Leukemia and Lymphoma Society with a substantial contribution. Karen DeMairo and Tammy Philie from the local chapter in Hauppauge, New York were on site at PL Developments’ corporate office to accept the donation. The donation was made possible with the money raised from raffle ticket sales held in conjunction with PL Developments’ Annual Summer Event. In a group effort, PLD personnel reached out to their business partners, friends, and families to contribute prizes and gifts for the raffle. Given all the incentives, the employees were eager to purchase tickets for a chance to win but more importantly, to help others. The Leukemia and Lymphoma Society is a not-for-profit organization. LLS is fully committed to funding blood cancer research and providing education and patient services. Founded in 1949, it is the world’s largest voluntary health organization. Coming this October, the Long Island chapter will be holding its Annual Light the Night Walk. This is a fundraising walk held at three Long Island localities. The participants in the walk carry illuminated balloons to form a community of caring, bringing light to the dark world of cancer. Sign up at www.lightthenight.org/li. 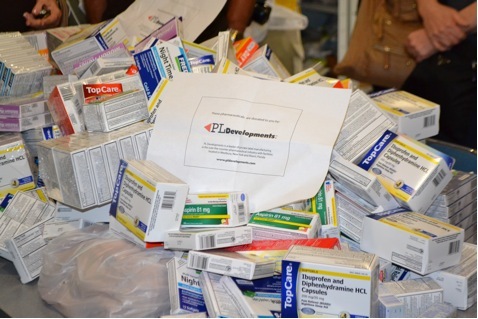 Recently, PL Developments donated a significant amount of over-the-counter pharmaceuticals for the displaced families affected by the wildfires that occurred in Colorado Springs. 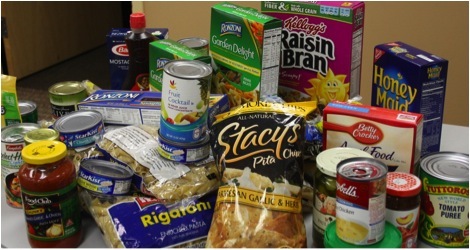 The contribution was made possible with a joint effort between the trade association GMDC and the food bank Colorado Care and Share. PLD employees worked quickly to package and ship thousands of packages of generic brand Ibuprofen, Aspirin, and the like. As a member of the General Market Development Center, known as GMDC, PL Developments responded to their request for personal care items. Located in Colorado Springs, GMDC is a non-profit worldwide trade organization to retailers, wholesalers, and suppliers of general merchandise and health, beauty, and wellness. All the donations were delivered to Colorado Care and Share which is a well-established food bank. They have helped provide food to the hungry of southern Colorado for more than 35 years. It is times like these when PLD understands the importance of reaching out to those in need. This is, has been and will remain a part of the core values of PL Developments. Recently, employees from PL Developments in Westbury completed Six Sigma Green Belt Certification. This training was made possible with a portion of the grant money PL Developments was awarded from New York State back in December 2011. In April, 19 employees began the in-depth training course. Four teams were each asked to address a particular company initiative or issue. The groups met numerous times over the next two months, and then each group presented their findings to Mitch Singer, President and CEO of PL Developments, and the Executive Team. Six Sigma is a business management strategy. It uses problem-solving methods and statistical tools to contribute to the success of an organization. The data-driven approach and methodology eliminates defects in any process, from manufacturing to transactional, from product to service. Green Belt certification will enable an employee to serve as a trained team member within his or her function-specific area. Mark McCumby, Vice President, Sales, for PL Developments, was elected to the Board of the Private Label Manufacturers’ Association (PLMA). The appointment was delivered in late March at the Association’s Annual Meeting and Leadership Conference at the Turnberry Isle in Aventura, Florida. Mark’s position as a new Board Member is for the three-year term of 2012-2015. Mark has 20 years experience in a variety of consumer categories for companies on both the branded side and private brand side. In addition, Mark brings with him 12 years of direct selling and sales management experience creating business partnerships with many of the country’s top retailers. He holds a Bachelor of Science degree from Western Michigan University. He earned his Master’s degree in Marketing Management from Aquinas College. PLMA, founded in 1979, is a worldwide organization of 3,000+ manufacturers and marketers of private label products. Its continuous growth is a reflection of the importance of store brands to both the retailer and the consumer. Their website address is www.plma.com. Mitchell Singer, President & CEO of the Long Island-based pharmaceutical company PL Developments, was recently elected to the board of the Consumer Healthcare Products Association (CHPA). The announcement came in early March at CHPA’s Annual Executive Conference in Bonita Springs, FL. Mitch celebrated his placement with his wife and VP, Creative Services, Linda Singer. Also in attendance were John Francis, SVP, Sales & Global Business Development and Dana Toops, SVP, Quality Assurance & Research Development. Prior to establishing PL Developments, Mitch was part of many entrepreneurial ventures in the consumer packaging and ridged packaging industries, including the role of managing partner of a glass packaging, manufacturing, and distribution company. A native New Yorker, Mitch is an active member in the Long Island, New York business and philanthropic community where he serves on the board of his Temple and holds leadership roles at local universities and hospitals. CHPA is a member-based association representing the leading manufacturers and distributors of nonprescription, over-the-counter medicines, and dietary supplements. Products from several of the members’ companies provide millions of Americans with safe, effective, and convenient therapies for the treatment and prevention of many common ailments and diseases. Their website address is www.chpa-info.org. The month of February is a great time of year for one of America’s favorite pastimes: the Super Bowl! With what everyone called Déjà Blue, it was the New York Giants and the New England Patriots once again this year. 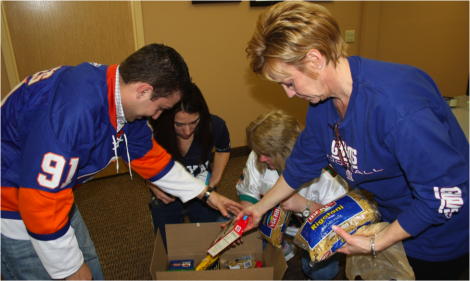 In the spirit of the big game, PL Developments hosted its own “tailgating” party, but to make it more meaningful and generous, all those employees who participated brought in some sort of canned or dry goods to donate to a local charity. This is common practice for PLD with the thought that it is always a good time to give back to the community. The effort was spearheaded by PLD co-worker Kathy McCabe and she was delighted to deliver two boxes and a bag full of food to St. Vincent de Paul in Lindenhurst, NY. Temple Beth Shalom is a synagogue located near downtown Havana that is active with programs for both the young and the aged, with approximately 100 children attending Sunday school. There is a Men’s Club, Hadassah chapter, as well as teen programs. 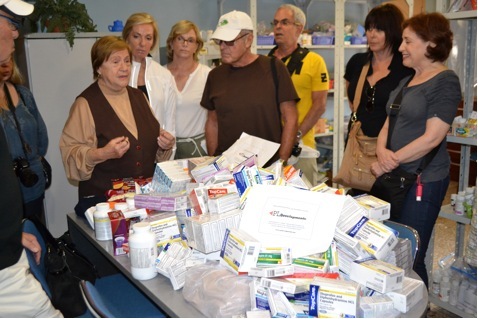 In addition, the congregation founded the aforementioned Jewish Free Pharmacy which takes responsibility for distributing medications throughout the community. Headquartered in Westbury, New York, PL Developments is a leading supplier of over-the-counter, FDA approved products in the analgesic, digestive, sleep & motion, and cold/cough & allergy categories. PL Developments Manufacturing, located in Miami, Florida, is an integrated single source for oral dosage development and manufacturing of OTC pharmaceutical and nutritional products. PL Developments will continue to lead the industry with innovation, excellence, and commitment to their mission of dedication to the well being of their customers, consumers, employees, and community.